The following update from Judge Anna details why the people are the actual living justice of the Continental United States. The same basis of law can be used in other 'countries' but with different titles or names. Essentially under common law, which is derived from Natural Law, the individual is the highest form of justice, until they knowingly, willingly and intentionally assign that role to another. The de facto insurgent justice system has presumed everyone has lawfully assigned them as adjudicators, but this is presumptive and has no evidence to support it; a fraud. As such when a real bonafide statement is made from a living being, it dispels the presumption and lawfully activates their powers of justice within. As we detailed in the post Citizen's Mass Arrest of the Cabal - What You Need to Know | NOTICE – PUBLIC ORDER, there is no grey area here. Either we begin to take up our creative powers and present ourselves as the justice of the land, or we acquiesce to cabal rule. 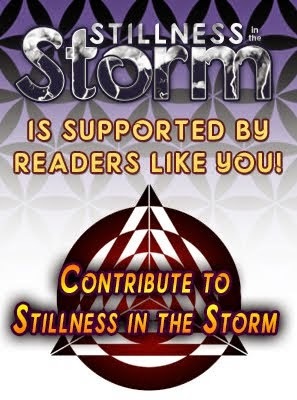 We each must educate ourselves on what our powers really are, and begin using them as a united force for change. As such, when you go to use the documentation Judge Anna provides, you are literally signing as a judge of the district or commonwealth for your local area, see below for more information. At this time, there is more fraud being revealed then nearly any other time in history, which helps provide the basis for why the present system doesn't work, and can be used to begin the education process for our fellows. 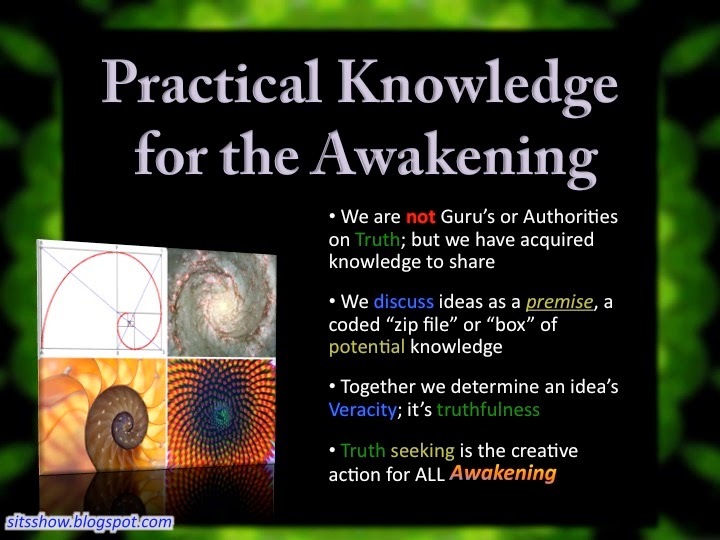 Each sleeping soul on earth is acting as agent for the cabal by proxy, as such, only through knowledge dissemination and collective action can we end the illegitimate cabal rule on Earth. It is a great time to be a live, and if you're reading these words, you are hearing the call! Living Americans naturally inhabit their birthright estate and DO NOT “reside” in any “State of State” concocted by the Federal United States or any incorporated entity at all. Each of us who were born on the land can reclaim their birth right estate and operate the land jurisdiction courts, legislatures, and executive branch of government on the land under the Last Man Standing Rule of our native Law. 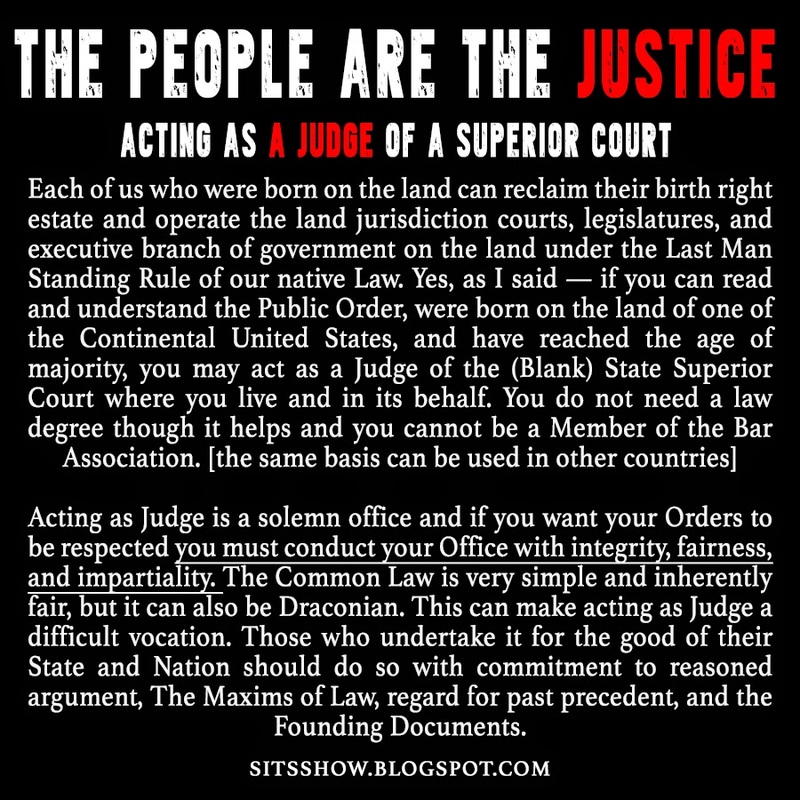 Yes, as I said — if you can read and understand the Public Order, were born on the land of one of the Continental United States, and have reached the age of majority, you may act as a Judge of the (Blank) State Superior Court where you live and in its behalf. You do not need a law degree though it helps and you cannot be a Member of the Bar Association. Four States are actually Commonwealths, so in Kentucky, Pennsylvania, Massachusetts, and Virginia you would sign as Judge of the Virginia Commonwealth Superior Court. Your thumbprint is your seal and a self-cancelled one dollar US Postage Stamp creates a $100,000.00 public bond for your office when affixed to the upper right hand corner of the first page with your name in all small letters written across the stamp in red and dated. All pages must be bound together with two heavy staples or punched and tied with red ribbon. When executing public documents of the land jurisdiction all seals, signs, and Signatures are done in red ink. When operating in the jurisdiction of the sea everything is in blue ink. When operating in Canon Law your seals and Signatures are in gold ink. Don’t forget to indemnify your Signature when occupying any public office and do not neglect to take a proper Oath of Office clearly binding yourself to act with full liability and Honor and in accord with the American Common Law of your Commonwealth or State on the Land. Always make it clear that your Signature as a Judge is non-negotiable and that you clearly reserve all your rights. Acting as Judge is a solemn office and if you want your Orders to be respected you must conduct your Office with integrity, fairness, and impartiality. The Common Law is very simple and inherently fair, but it can also be Draconian. This can make acting as Judge a difficult vocation. Those who undertake it for the good of their State and Nation should do so with commitment to reasoned argument, The Maxims of Law, regard for past precedent, and the Founding Documents. In all cases make the effort to form Jural Societies to complete your Court and your process. This requires holding meetings, verifying that all those present are birthright inhabitants of the land and are claiming that status before the Law, then holding elections for judge, sheriff, coroner, bailiff and clerk. After that or in tandem, you also need to form jury pools for both the Grand Jury and Trial Juries. Ideally, you need at least two judges at all times. Common Law is much simpler than other forms of law and the Jury is King in American Common Law. In jury trials the Judge merely executes the sentence. In the case of the Public Order originally issued in Alaska on April 2, 2015, the Judge’s role is executive– the facts already stand established as law by the Public Records of courts of record here and abroad and do not need to be argued or interpreted. Anyone undertaking the Office needs to act with Due Diligence and in confirmation.